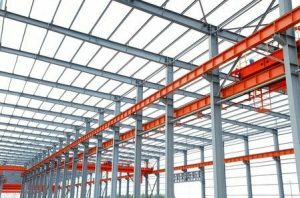 Structural steel has become popular in a variety of industries over the course of time. Part of that is because it weighs much less than other materials do. It also costs just a fraction of what other materials cost. However, those aren’t the only reasons why people have turned to structural steel time and time again. Here are some of the other benefits that come along with using it. Structural steel is known to be incredibly strong. Weight and cost aside, the strength of structural steel is probably the most attractive feature of it. There are lots of buildings that are created using steel because the steel makes them stronger and less likely to sustain any real serious damage in the event of a natural disaster or other incident. It’s also very malleable and can be customized. While steel is strong, which means you won’t have to worry about it bending or breaking under immense amounts of pressure, it’s also malleable and can be transformed if you so choose. A good fabricator or welder can change the shape and appearance of steel based on the specifications of a particular project. That makes steel an ideal candidate for construction jobs and more. Structural steel isn’t going to break down on you anytime soon when you install it properly. Although steel is malleable and can be transformed, buildings made from it won’t start to show any signs of wear and tear for decades to come. Structural steel will outlast just about any other product that you would use in its place. Are you interested in using structural steel for a project you’re working on right now? RG Smith Company can assist you with steel erection and plant maintenance and talk to you more about why steel might be the right choice for you. Call us at 330-456-3415 or 419-524-4778 today to get more information.